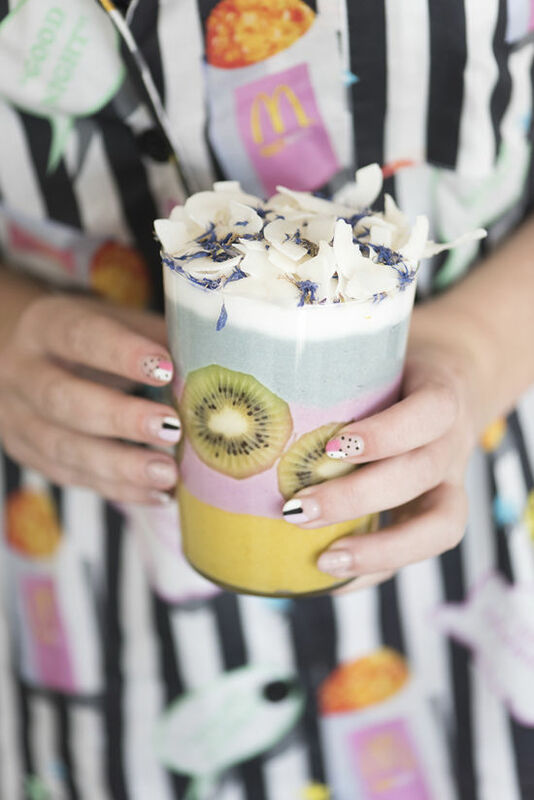 last week we had the pleasure of hosting the smoothie queen, Alison Wu, in the studio for the afternoon. 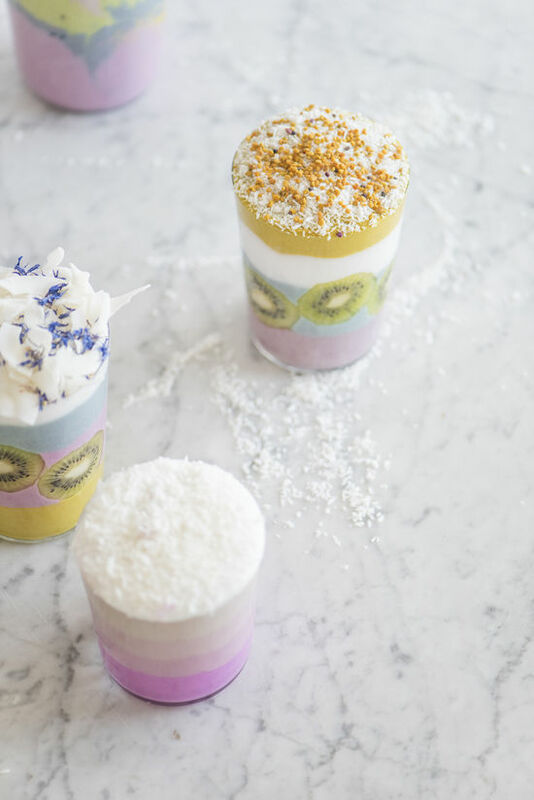 she whipped up these beautiful creations and also shared with us her top five smoothie making tips which, if you’ve ever tried to make a layered smoothie, you know they are a lot harder to achieve than they look! i love that she not only focuses on beauty but also on balanced creations that are good for your body too. her colors are all achieved naturally through things like dragon fruit powder and even E3live for the green color (so cool!). 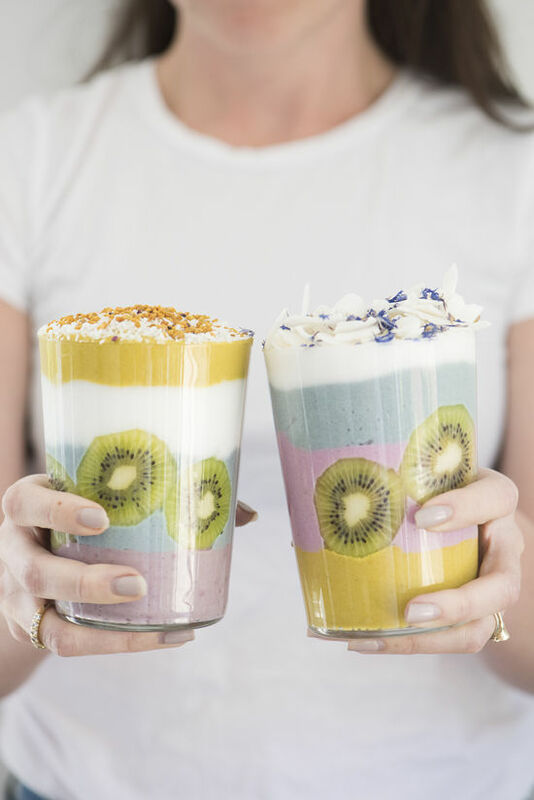 her instagram is filled tons of healthy inspiration and recipe ideas too. 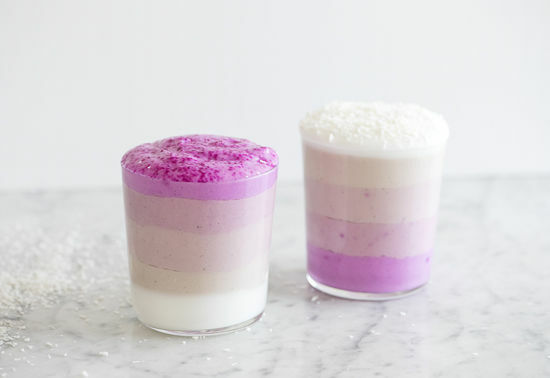 thanks for inspiring our smoothie game, alison! 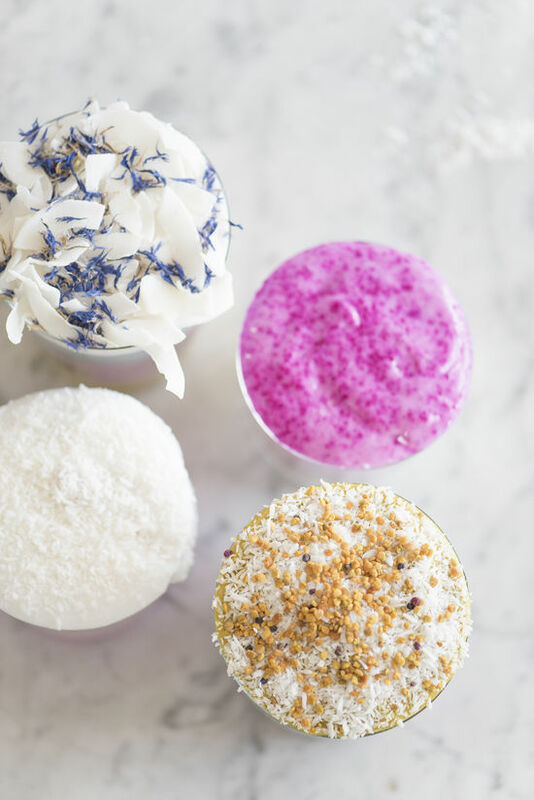 and here are her top 5 smoothie tips! + Try swapping your normal banana for 3/4 cup frozen cauliflower, 1 medium-sized peeled zucchini or 6 oz of young coconut meat. 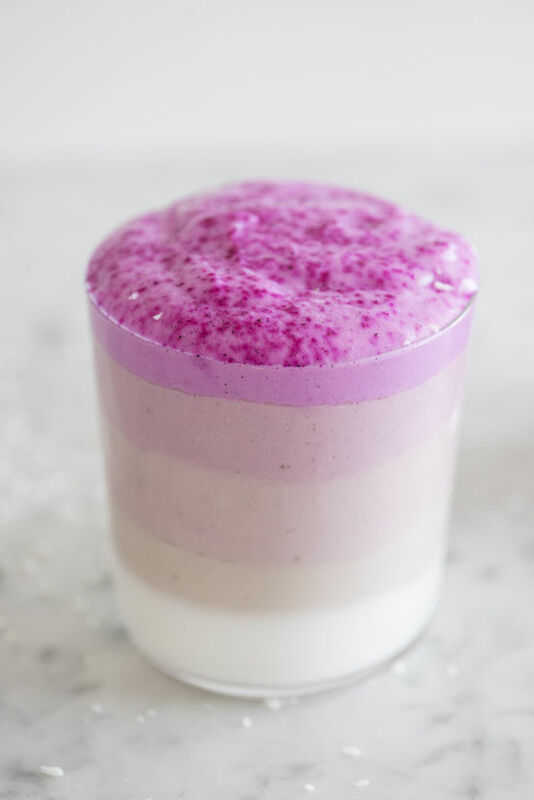 + If you want to make a layered smoothie, think less liquid and no ice. You’ll want the consistency to be thicker, so your layers hold their own. + Get creative with your colors. 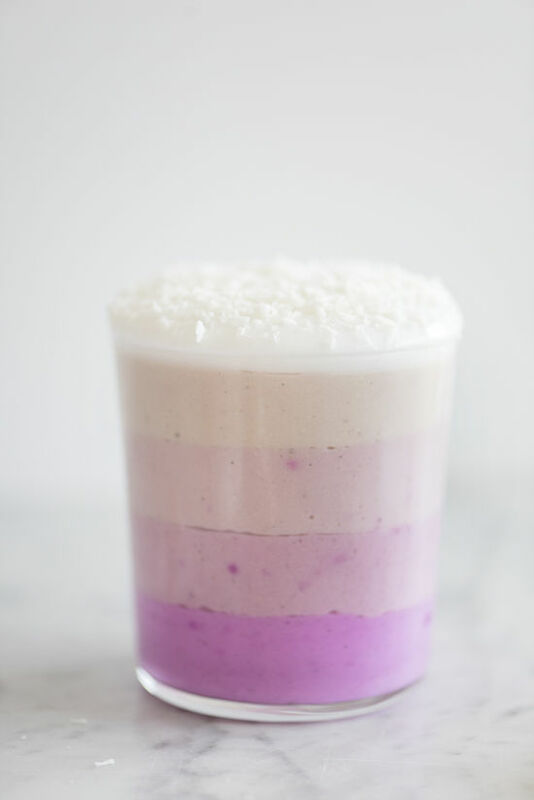 I use pitaya powder for pink, Blue Majik for blue, spirulina for green and turmeric for yellow. Sometimes I’ll mix a couple blackberries with the Blue Majik to get a more purple tone, so don’t be afraid to experiment! + Be sure to add some nut butter and protein powder to keep you feeling fuller longer. + To add kiwis to the glass, just thinly slice the fruit and firmly push against the side of a dry glass. It should stick relatively easily! 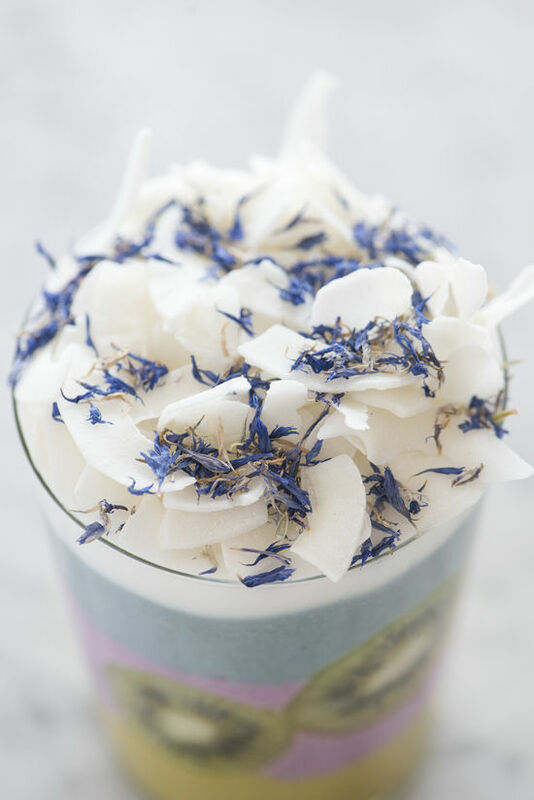 i love that she’s using cauliflower as the base for many of her creations, she recommends keeping it to 3/4 cups of cauliflower per serving to keep it easy on the body to digest. 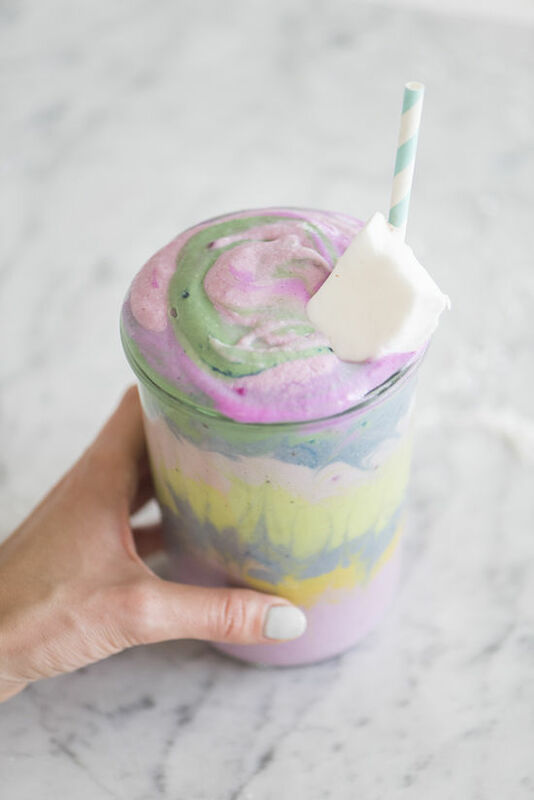 and this one kind of looks like those unicorn frappuccino that everyone is posting about, just the wayyyy healthier version! Oh wow. Hello, new Instagram obsession! 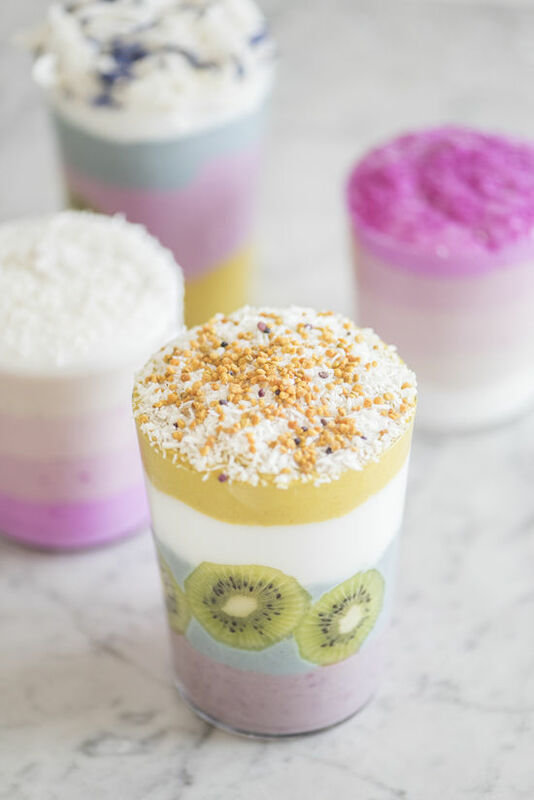 These are so pretty and I bet they tasted delicious! holy sh*t. these look amazing and sound delicious! I always include zucchini but I ne Dr tried cauliflower. Going to do that one tomorrow! The cauliflower seems interesting. I usually have courgette instead of a banana in my protein shakes. The cauliflower I have to try. 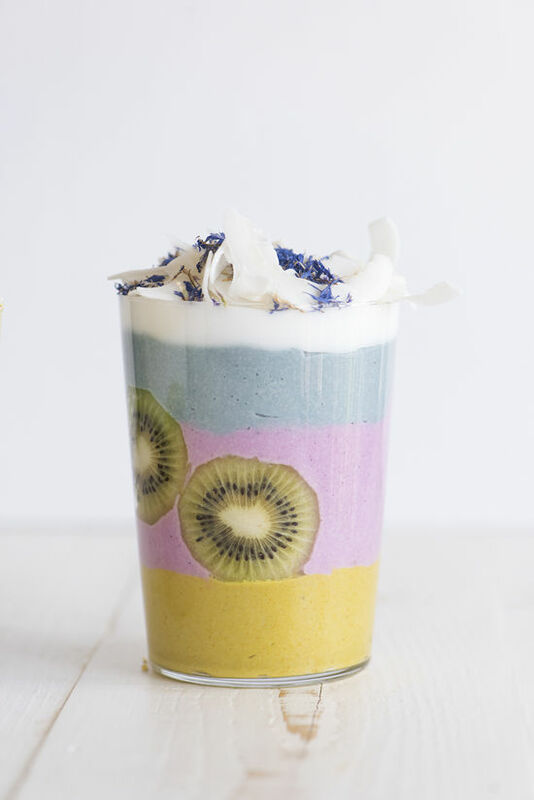 These smoothies look amazing, how do you make them so pretty?!! Be sure to add some nut butter and protein powder to keep you feeling fuller longer. Wowww, insanely gorgeous! how do you make them so pretty?!! It is not only good in taste but also eyes pleasing. These are some cool and yummy recipe. I will ask my wife to prepare these recipe for me. 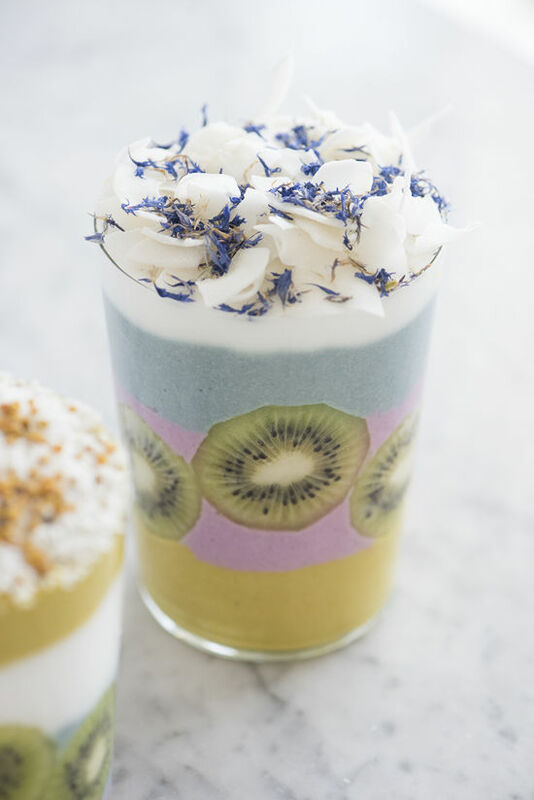 The kiwi smoothie looks delicious and attractive, thank you for sharing the way.